International Mining magazine visited the Kaltim Prima Coal mining complex in Indonesia in late 2015, to see how such a large operation manages its huge fleet of machines over an extensive area. Kaltim Prima Coal (KPC) is the world’s largest single producer and exporter of thermal coal, as well as largest single coal mining complex in Asia. ‘Back in 2008 the fuel accounting system at KPC was still highly manual, yet local teams were expected to manage inwards deliveries of some 3 million litres of diesel, which were arriving by barge every couple of days. This product was being hauled 16 km by tanker trucks and pipeline to the ROM storage area. From the ROM area, the diesel was used to fill haul trucks and large service trucks which would operate at refuelling locations within the pit. Pretty much everything was hand written, while contractors on the site also had to acquire the fuel they needed via a paper-based system. These factors caused significant difficulty in terms of reconciling around 1.6 million litres per day. ‘Banlaw began a project to install metering at the port area to ensure that diesel which was received accurately matched delivery dockets. It also provided metering into the Tanjung Bara fuel farm, and then rolled out metering and temperature compensation throughout the site. 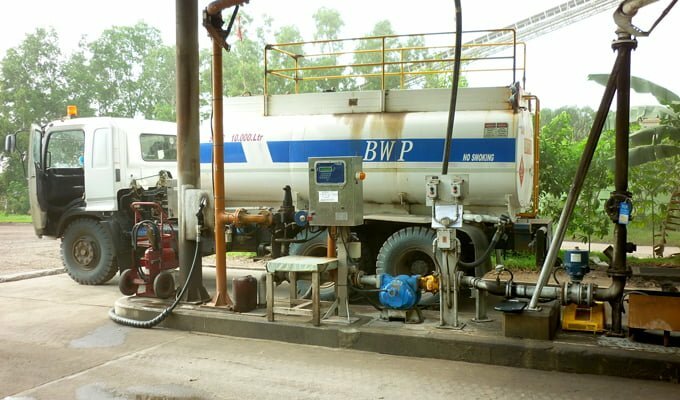 ‘Banlaw also put in place Banlaw FuelTrack FMS depots (controllers) at refuelling locations, along with the associated enterprise software suite. It also installed ‘Auto ID’ technology on contractor and owned machines, which dramatically reduced the workload and the amount of manual paperwork. ‘Processes around specific refuelling bays were optimised based on data, allowing hours of operation and staffing to be balanced to reduce both the vehicle queues, and the cost overhead. ‘A service level and maintenance framework was established between KPC, Atlas Copco Nusantara, and Banlaw to ensure the infrastructure was actively managed and maintained, that preventative practices helped avoid operational and HSE risks, and that a continuous improvement focus delivered ongoing positive results. ‘ “KPC dedicated a number of resources on site to take a unified approach to fuel management across all mine sites. This level of focus keeps them innovating, and realising ongoing value and improvements.” Since the process and systems were put in place the vehicle refuelling components have been regularly inspected, to ensure that correctly matched Banlaw dry-break nozzles, receivers, and vents deliver maximum flow rates. ‘Banlaw provides 24/7 helpdesk services to KPC. The focus is on timeliness, accuracy, and identification of fuel assets. The Banlaw helpdesk also provides proactive health check reporting, along with a segment-by-segment reconciliation reporting. 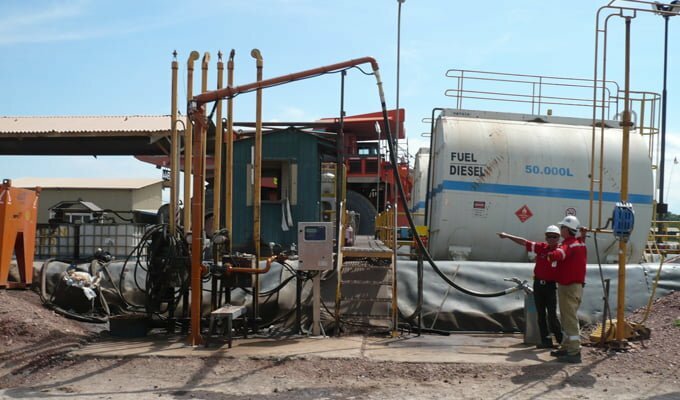 ‘All of this product deployment was carried out along with processes to support a Unified Fuel Management approach. Optimising refuelling and hydrocarbon management across the fleet multiplied the benefits realised; namely productivity, efficiency, and cost savings. ‘Currently the fuel management framework for Kaltim Prima Coal manages around 2 million litres per day. It does this across a physical area of around 90,000ha or 70 km, 20 storage areas, 49 refuelling depots, and thousands of vehicles and machines. Download the full International Mining article here. Thanks to International Mining for their permission to publish the article.